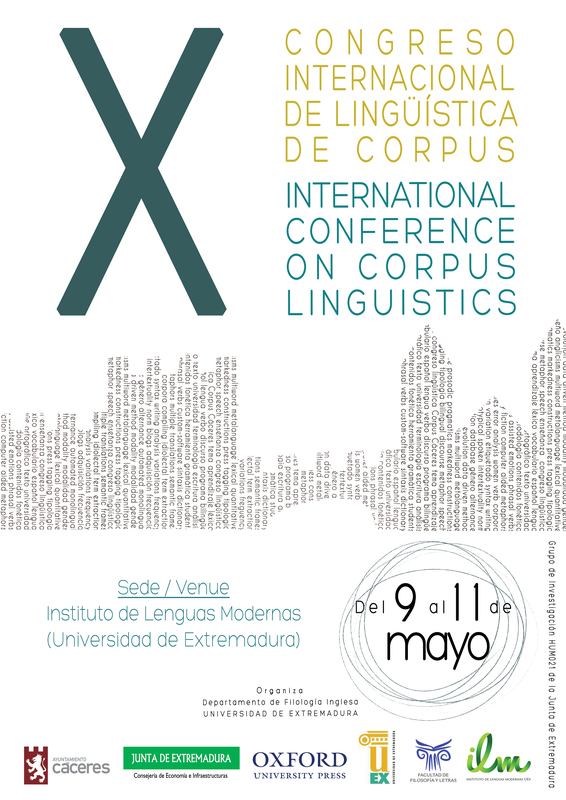 The Spanish Association for Corpus Linguistics (AELINCO) and the Organising Committee of this new edition of its annual conference are pleased to release this invitation to participate in the X International Conference on Corpus Linguistics (CILC2018), which will be held at the Modern Languages Institute (Instituto de Lenguas Modernas) of the University of Extremadura (Cáceres, Spain) on May 9th-11th, 2018. The theme of this edition —and the focus of some of the keynote addresses and many other papers— will be Corpus Linguistics for the Study of the Influence of English on World Languages. Thus, this edition of CILC constitutes an ideal discussion forum for the analysis of the methods, tools, and —above all— resources that Corpus Linguistics has made available to scholars and researchers whose interest lies with the indelible mark that English is leaving on practically every language in the world —many of which will hopefully be represented in this edition. 9. Corpus linguistics and languages for specific purposes.